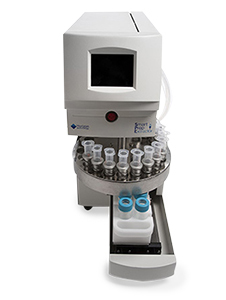 Horizon Technology proudly presents the SmartPrep® II Cartridge Extractor system, giving simple automation of manual solid phase extraction (SPE) methods. 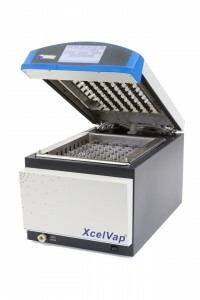 This rugged, second-generation system is specifically designed for scalable cartridge-based SPE of a wide range of contaminants in clean aqueous matrices. SmartPrep II combines intelligence, versatility and ease-of-use, making automation simple and affordable for method developers and sample prep laboratories. 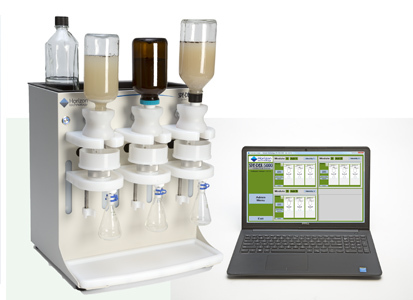 • Having all the capability of a manual SPE, the SmartPrep system can run up to 12 samples in one batch. The same method or different methods can be used for each of the 12 samples. • The SmartPrep system can be run via the front touch screen or using the intuitive SmartPrep software. • The small footprint makes for economical use of space in the lab. • Controlled positive pressure consistently delivers the sample and solvent flow rates, yielding reproducible unattended results. • Cartridges of 1, 3 and 6-mL size from most manufacturers can be used in the system, easing the transition to automation. • Extensive reporting can be done in a variety of formats for client delivery or transfer to LIMS. • An optional barcode reader speeds up the auxiliary tasks required when performing sample preparation. • The SmartPrep II is ideal for an extensive range of applications such as environmental and health monitoring (1,4 dioxane and nitrosamines), agricultural and animal health (acetamide herbicide degradates), food safety and preparation (aflatoxins in peanut paste), and power utility monitoring (furans in transformer oils).